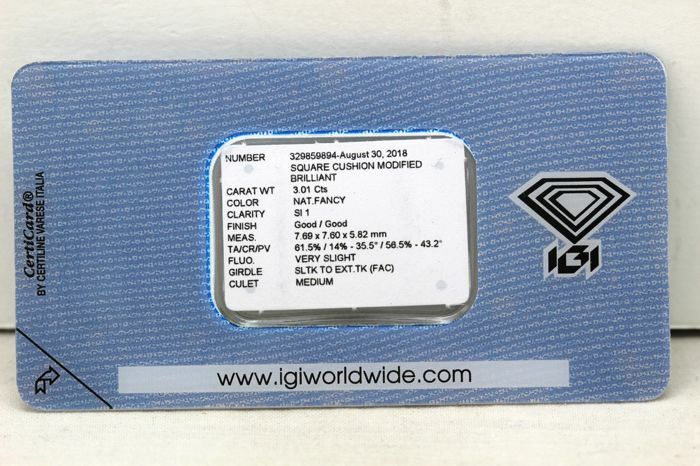 Size: 7.69–7.60 x 5.82 mm. 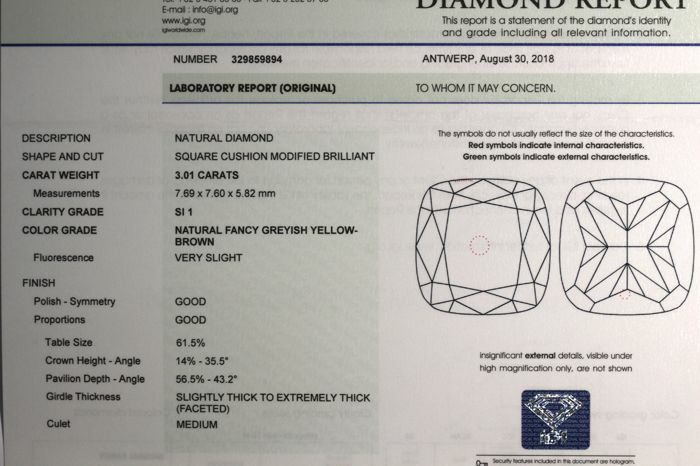 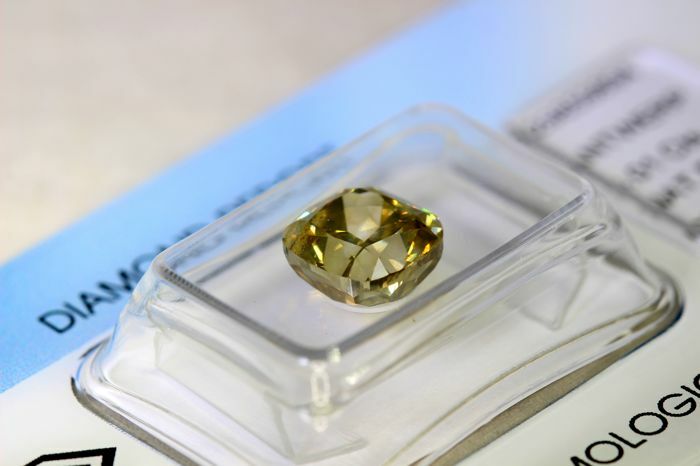 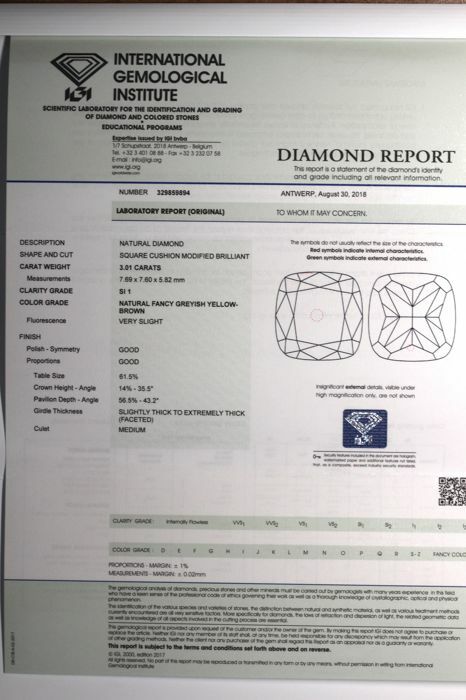 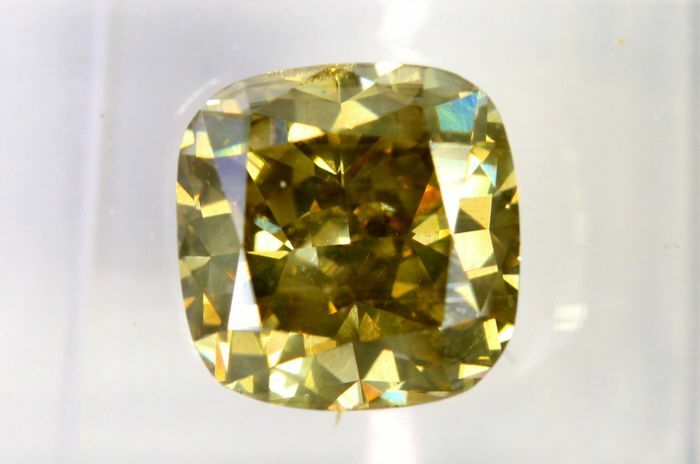 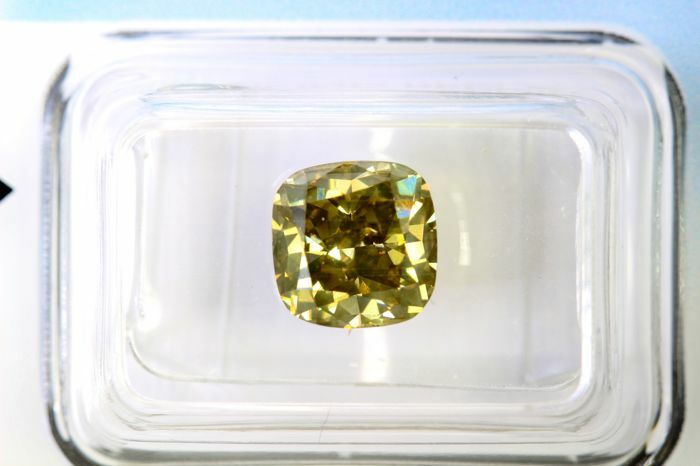 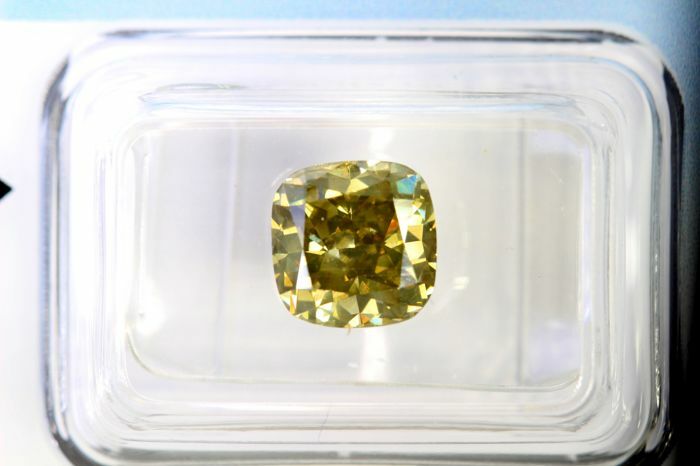 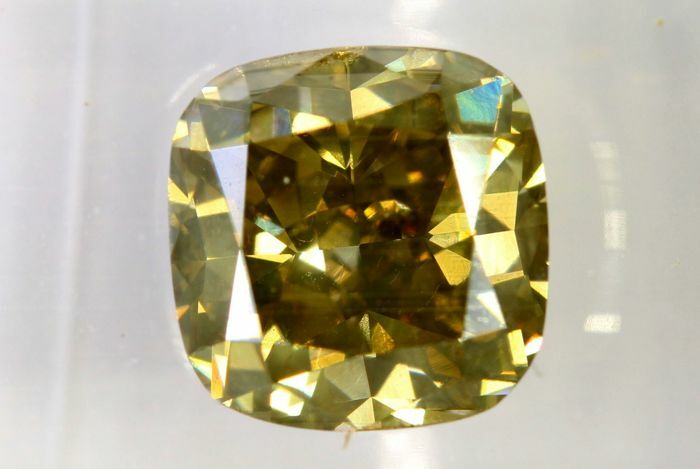 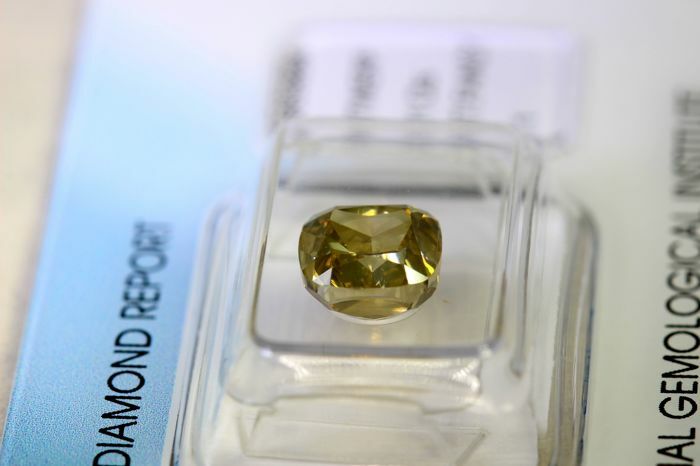 Total Carat Weight: 3.01 ct.
Diamond colour: Fancy Greyish Yellow Brown. 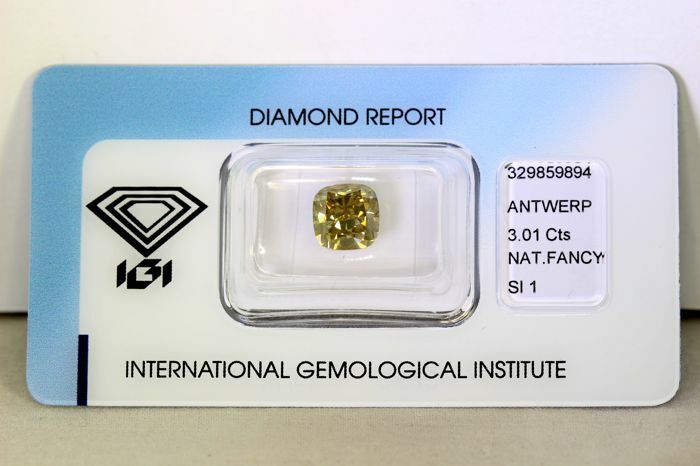 Grading lab: IGI Antwerp Laboratories.